Layar is an Augmented Reality mobile app that shows multimedia information about the real world surrounding you. Firstly, you need to download the app to an Apple, Android or Blackberry phone or tablet. You need to be connected to the Internet for the application to work, with the GPS or geotagging function activated. The screen shows shipwrecks within a 5 km radius. ¿How do I find the Shipwreck Route in Layar? Once Layar is open, access Geo Layers from the menu and write Shipwreck Route in the layer search engine. What information can I find in the Shipwreck Route? 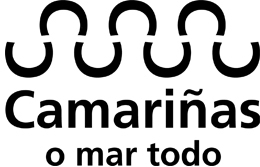 The Shipwreck Route shows multimedia information on 63 shipwrecks and 4 points of interest on the Camariñas coast. You can also listen to the stories brought to life at some of the most significant shipwrecks. – Augmented Reality: It shows every shipwreck location in your device screen. If you want to access the information on a certain shipwreck, you just have to tap the icon at the bottom of the screen. You can trace the route to the shipwreck from “Directions”. – Shipwreck Route icon:If you tap this icon, the map will show up. You can share the route by e-mail or across social networks, you can take a picture or define the search metres value for shipwrecks: from 100 m to 5 km. – Map: The map shows all shipwrecks and points of interest. By tapping each shipwreck, you will see all the information about it from an icon at the bottom of the screen. – List: This shows a list of shipwrecks and points of interest ordered according to the distance you are from them. To access the information, you need to tap each element so a menu will show up with all possible options. – Compass: At the top left hand side of the screen, you will see a disc that shows the position and distance of every shipwreck.